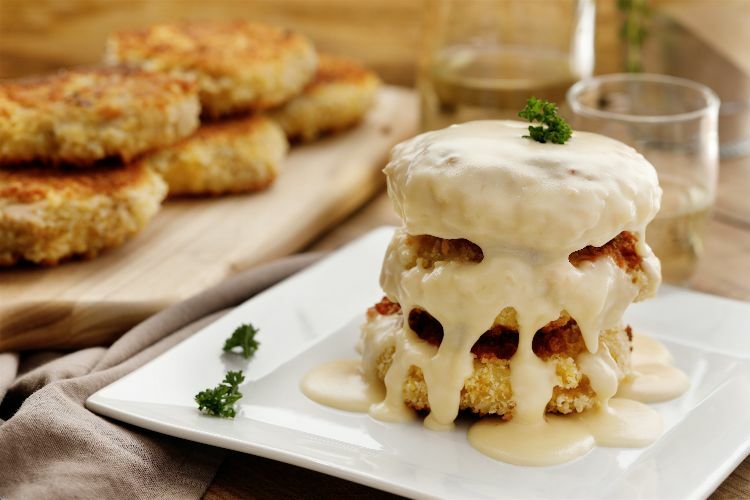 Potato cakes, or croquettes, are one of the best ways to use up leftovers. 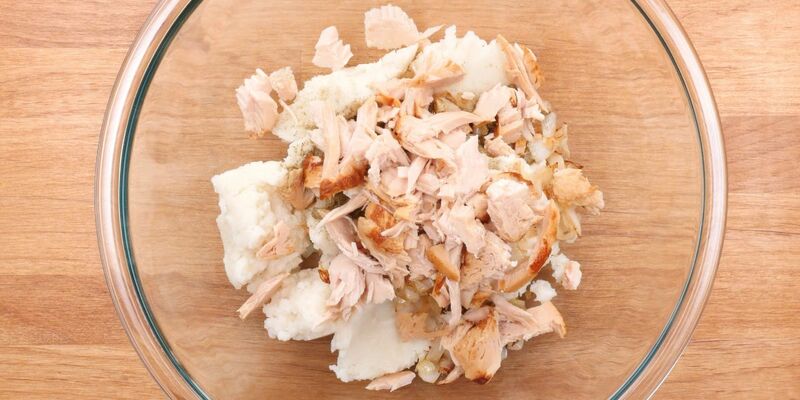 All you have to do is mix the leftovers into your potato mash, fry them up, and dinner is served! The recipe below is perfect for the day after Thanksgiving when you also have leftover mashed potatoes. Use this recipe as a guideline: If you have leftover greens, squash, or other veggies, throw them in too. Just be sure you have enough potato to hold everything together or your patties will fall apart in the pan. Using cold potatoes is key, so if you're making mashed potatoes just for this dish, consider making them in the morning. Heat the butter in a skillet. Add the onion and cook, stirring occasionally and until tender, about 10 minutes. Place the mashed potatoes in a bowl. Make a well in the center, then add the onion, poultry seasoning, and leftover cooked turkey. Beat one of the eggs and add it to the well. Use a wooden spoon to bring all of the ingredients together. Line up three bowls on the counter. Place the flour in the first, the second egg in the second, and the panko in the third. Add a drop of water to the egg and beat well. Form the mashed potato mixture into eight even patties about 1 inch thick. Dredge each of them in the flour, then the egg, and then the breadcrumbs. Heat the vegetable oil over medium heat. Add the patties, then cook about 2-3 minutes per side, until golden brown.